When it comes to navigation apps, we’re pretty sure Google happens to be your first pick. But there are other alternatives as well, which offer much more useful features that can take navigation to a whole new level. 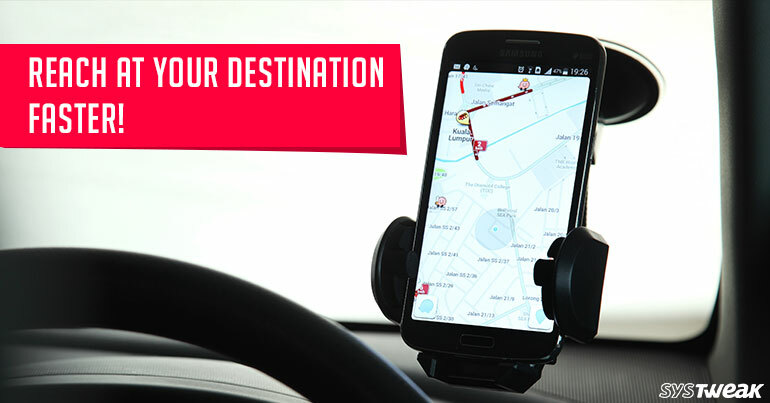 Today, we are going to share a few tips to make the most of your navigation experience via Waze app. This is one of the most amazing features offered by Waze app. It allows you to pick the most suitable time to leave for your destination while keeping the current traffic conditions in consideration. To use this feature on the app, tap on “Go Later” option and scroll down to see how your leaving time will be affected by traffic conditions as it lists down an estimated arrival time right next to it. So, now whatever time suits you the best, pick your selection and tap on Save. And here comes the best part. If you get too involved in packing, Waze will even alert you when it’s time to leave so you don’t get late in reaching your loved ones. As its holiday season, you never know which highway might get you stuck in traffic. To avoid this you can use the “Routes” option of the Waze app to view all alternative routes option you can pick. Once you have selected tap on “Go” button and get going! If you need to stop for gas, coffee or any specific destination, Waze can offer suggestions. Tap the status bar at the bottom of the map and then tap Add a stop to search for gas, food, coffee and other categories. If by any chance you’re running late or you have to run an important errand during the journey here’s what you can do. Before your loved ones start worrying and keep buzzing you with back to back phone calls, you can send them your estimated time of arrival so that they don’t panic. Waze is a pretty smart navigation app, and it keeps everything in consideration be it traffic signs, speed cams, crashes, road constructions and more. So, if you don’t want to be bothered by all of this you can customize it in the settings. You can simplify the map by heading to Settings > Display & map > Details on map and toggling off the features you don’t want to get disturbed with. 6. Speeding Alerts-Slow Down Buddy! If you don’t want the traffic policemen to stop you for breaking rules, you can set speeding alerts to make sure you don’t exceed the limit. Go to Settings > Speedometer > When to show alert and here you can pick the “At speed limit” to 10 MPH above speed limit or a larger or smaller buffer. Here were a few tips to make your navigation experiences better! It’s always good to explore new apps alternatives for better features. You never know what you might find useful, isn’t it?